Contrary to popular depictions or what one might imagine, “ghost hunts” or paranormal investigations are quite mundane. What I mean by mundane is that usually nothing happens. 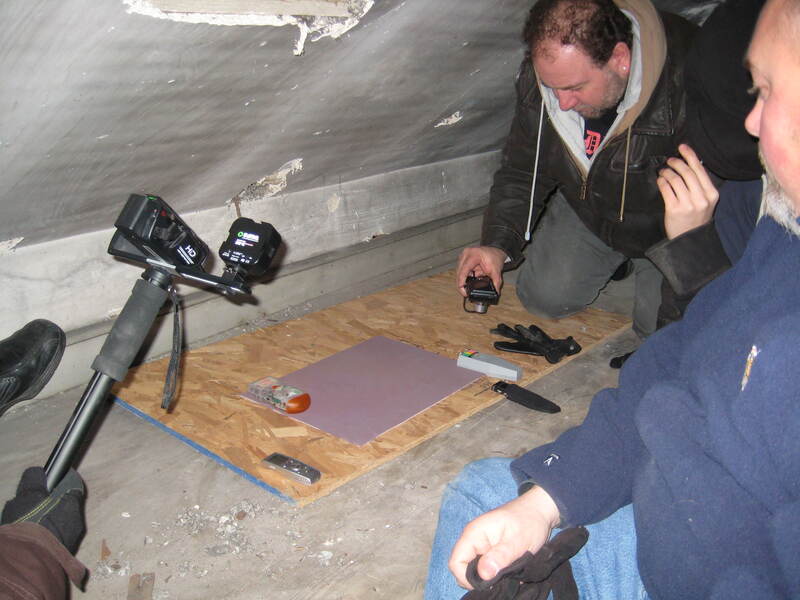 For the most part, paranormal investigations involve a lot of waiting around for something…anything, to happen. The reason why I selected the following clip is because it captures a rare moment when something did happen—something that led the paranormal researchers in the room to believe that they might be in the presence of an invisible agent. Needless to say, none of us, including myself, could really explain what we experienced—the seemingly material traces, the changes in mood and in atmosphere. But if pressed for one, I am not so sure we would all provide the same explanation anyway. That is the thing about the paranormal, it also involves para-explantions, para-ontologies, para-theories, para-methods, para-standards of evidence—often inconsistent and always co-existent. 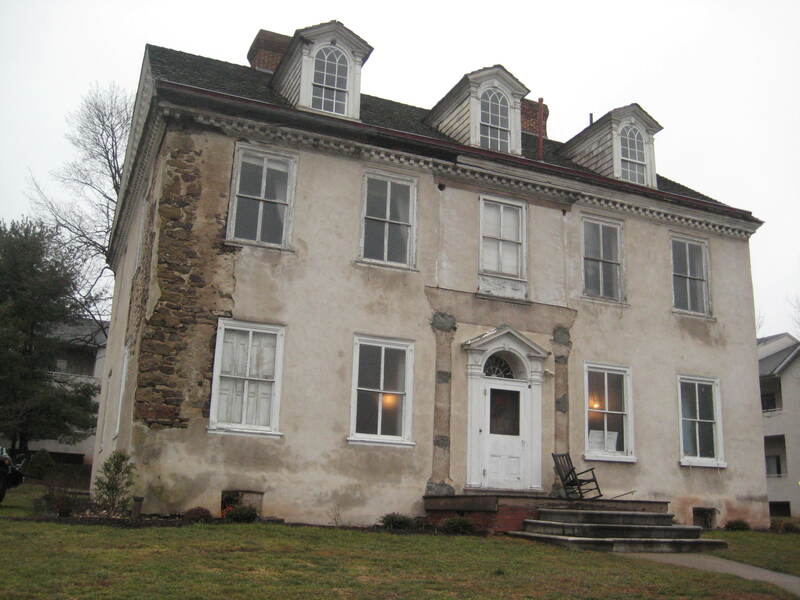 Located in Norristown, Pennsylvania, the Selma Mansion was built shortly after the Revolutionary War in 1794. And for most of its existence, the mansion served as a private residence for five distinct military families until its last owner, Ruth Fournance, passed away in 1982. Most of Fournances’ possessions, including crates of Union soldier uniforms and other war memorabilia stored in the home’s basement, were sold at a public “yard sale” leaving a remarkably well-preserved, albeit, hollow structure. The mansion is currently owned by the Norristown Preservation Society. And in recent years, it has become a hot spot for paranormal investigators hoping to encounter some of the many past inhabitants who have lived and died in the home. 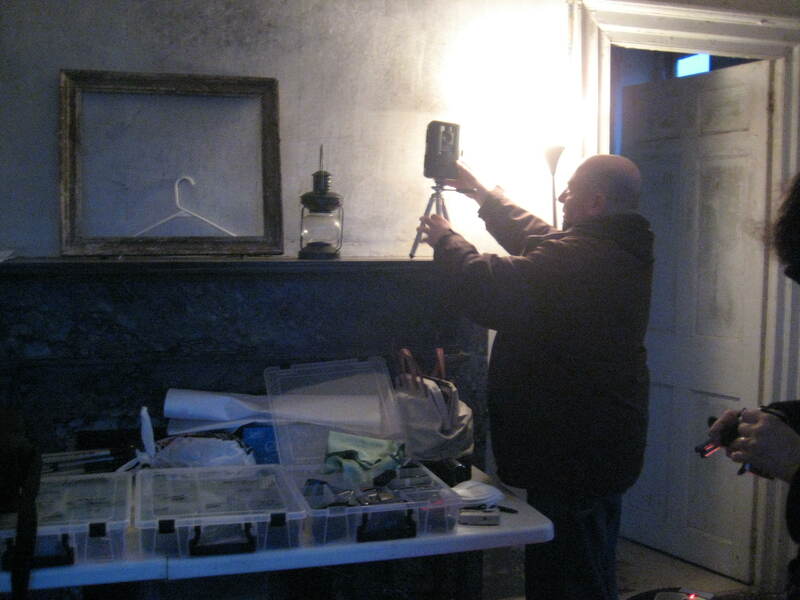 This past February, on a cold and damp night, I joined the Seekers Club of the Paranormal, a New York City-based paranormal research team, on their overnight investigation of Selma Mansion. The audio clip is of an EVP (electronic voice phenomena) session. For those of your unfamiliar with paranormal research jargon, you can think of EVP sessions as modern-day séances, except spirit communication is mediated through audio-visual technologies rather than a psychic medium. At the moment of this recording, there are five of us huddled inside what appears to be a cramped long and narrow storage closet. Sharing the small space with us are the team’s many pieces of equipment—audio recorders, infrared camcorders, digital cameras, and EMF (electromagnetic frequency) meters. Paranormal research is premised by the hypothesis that ghosts and other paranormal phenomena create material traces, which can then be captured by audio-visual recording equipment, measured by re-purposed scientific instruments, and sensed through bodily reactions. Most of the time, though, a single material trace cannot definitely prove or deny the existence of ghosts. Rather, to collect evidence, paranormal researchers must deploy tools, methods, and modes of analysis in complementary, supplementary, and often contradictory ways. What you are hearing in this audio clip are the efforts of paranormal investigators attempting to ascertain whether or not there are spirits in our presence. To determine this, you will hear—in the midst of the constant din of the spirit box—these investigators cobble together bits and pieces of evidence, including fragments of words from the radio, photographs, and a sudden chilly sensation. The most exciting moment occurs when the team decides to focus exclusively on communicating with the spirit of a 14 year-old male slave, specifically when Joey asks the spirit if it can touch the pad (5:09). The pad that he is referring to is a heat signature pad, which registers warmer temperatures as brighter colors and cooler temperatures as darker. About two minutes later (7:09), you hear team members excitedly point out there that here indeed a small handprint emerging, gradually growing darker, on the mat. You will hear the investigators describe the shape of the palm print, indicate its location on the mat, count the fingers, inspect the color fluctuations, and note that it is “kid-sized.” You will also hear how the investigators create the conditions of possibility for spirit presences and how they rationalize to themselves and other team members that what they witnessed was in fact genuine paranormal activity. Perhaps after listening to this clip, you will be left wondering: did we all really see a palm print manifest out of thin air? In the excitement of the moment, I do believe that we genuinely saw what appeared to be a handprint, a palm with five distinct outstretched fingers. But, I also do believe that strong convictions can fade. And what might seem real in the warmth of the present moment might diminish in one’s recollections or in one’s field notes. Or who knows, upon further scrutiny, one’s convictions might possibly grow stronger. Ultimately, I believe that the decisive vote is cast by what William James calls “one’s general sense of dramatic possibility,” that is, if one can imagine the possibility of a universe inhabited by spirits and other invisible agents. In the end, I am left asking my interlocutors and ultimately, myself: Are you sure? So, are ghosts real? I have no idea. But to ask if ghosts are real is to miss the point of how ghosts are made real by paranormal researchers and how their efforts might provide some insight on the ways in which many Americans think about the life and death, belief and evidence, science and the supernatural. This entry was posted in Paranormal, Uncategorized and tagged ghosts, science & the supernatural. Bookmark the permalink. Loyd Auerbach, Professor Paranormal, straddles both sides of the psychic fence. As a psychic entertainer, he’s performed mentalism for over 20 years, including a show called “Seance Fiction Theater.” As a parapsychologist, he’s known all over the world as an expert on psychic phenomena — especially ghosts and hauntings. He teaches parapsychology courses both in Lafayette at HCH Institute and for Atlantic University, is on the faculty of JFK University, is the author of 8 books on the paranormal, and is a member of the Board of the Rhine Research Center. He is also on the advisory boards of the Forever Family Foundation (and 2013-2014 President) and the Windbridge Institute, both of which support (and conduct) scientific research on spirit mediumship.